Without Ever Leaving Your Business! 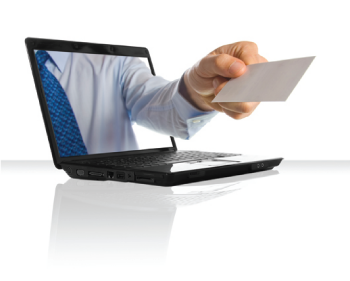 With Xpress Deposit you can make deposits electronically by utilizing a desktop scanner connected to your PC and the Internet. Users scan checks at their business location and then transmit data and check images to us electronically for deposit. This new service reduces or eliminates the need to deliver deposits in person at your financial institution. And you can make deposits from any of your business locations. Scan - Use the supplied scanner to capture the front and back of each check, including the MICR information and dollar amounts. Balance - Checks are totaled, balanced and a virtual electronic deposit ticket is prepared for your approval. Transmit - All check images are sent electronically, over a secure connection, to American Community Bank and deposited into your account. With Xpress Deposit from American Community Bank, you will enjoy many key benefits. Prepare and submit deposits directly from any of your business location(s). Make deposits when it's most convenient for you: evenings, weekends or even holidays. Eliminate courier costs or employee trips to the bank. Consolidate multiple banking relations and save money with reduced fees. By depositing checks quickly, deposit items may qualify for faster availability. Reduce the amount of time spent preparing deposits and consolidate banking accounts. No more trouble getting to the bank before cut-off time. By depositing checks faster, the collection process is started sooner. Checks received on the last day of the month or quarter will post in the same period. Contact Mohammad Saleem at (219) 365-6700 for more information on the advantages of Xpress Deposit.